Do you have that one friend who always helps you make decisions that aren't always the best? Cynthia is mine. Usually the decisions involve whether I need more polish or not, and I usually cave because she always talks me into it or they just look awesome on her. She's a real jerk like that. 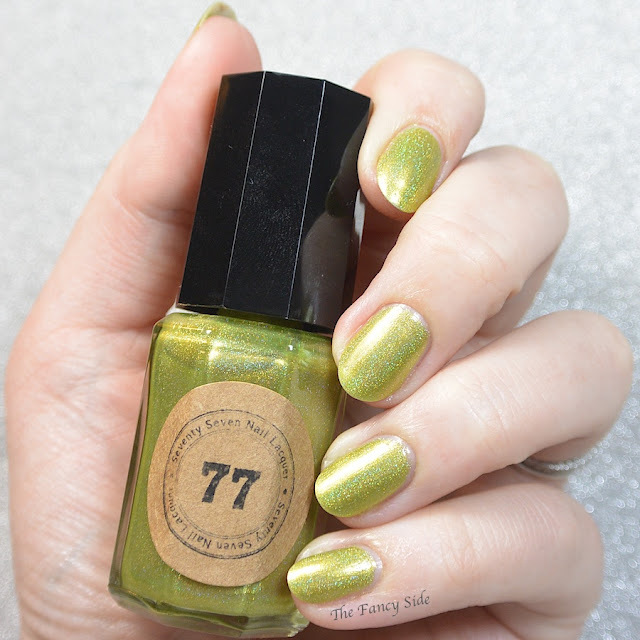 ;-) Over the July 4th weekend, she talked me into buying the Sea Glass Trio from Seventy7 Nail Lacquer. My one condition was that she had to do a mani with me. 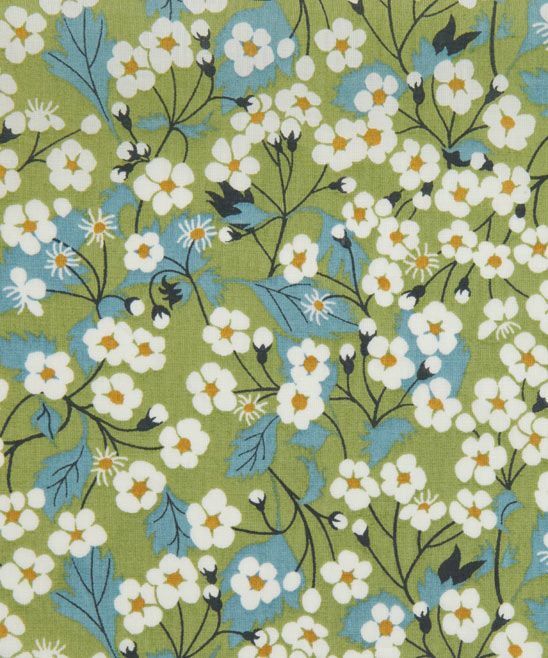 So we picked out this daisy print and we were off and running. For my inspired by look, I started with a base of Seventy7 Nail Lacquer Olivine, which is a pretty light olive green holographic polish. This was two easy coats for full coverage. I then used the saran wrap method with Seventy7 Nail Lacquer Aqua-Marine to add some of the blue into the background. I really like how the two colors blended to make a nice background. 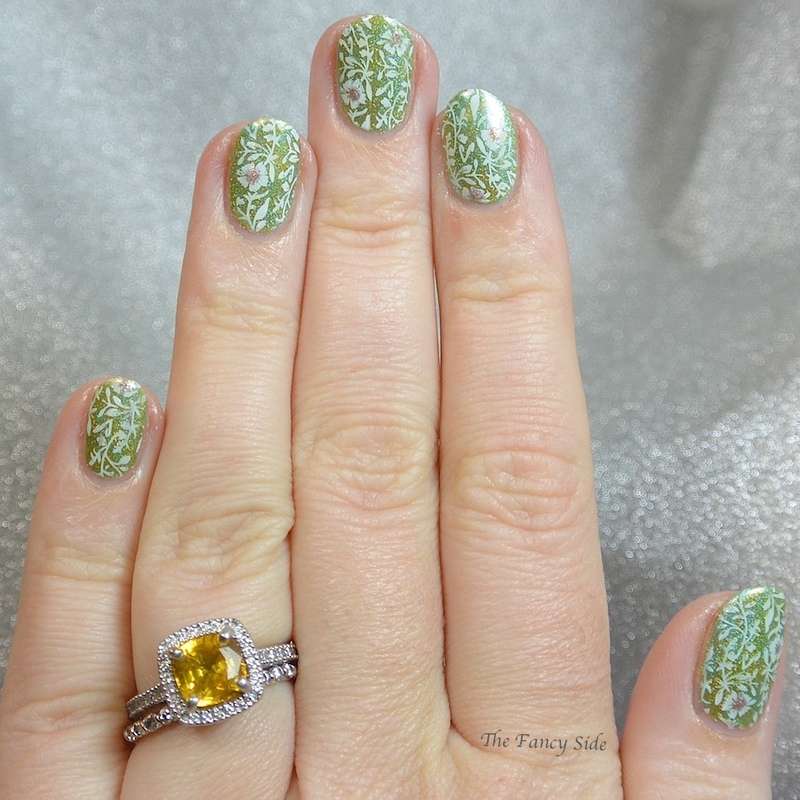 I then stamped on a daisy print from Uber Chic 1-02 with Sinful Colors Snow Me White. 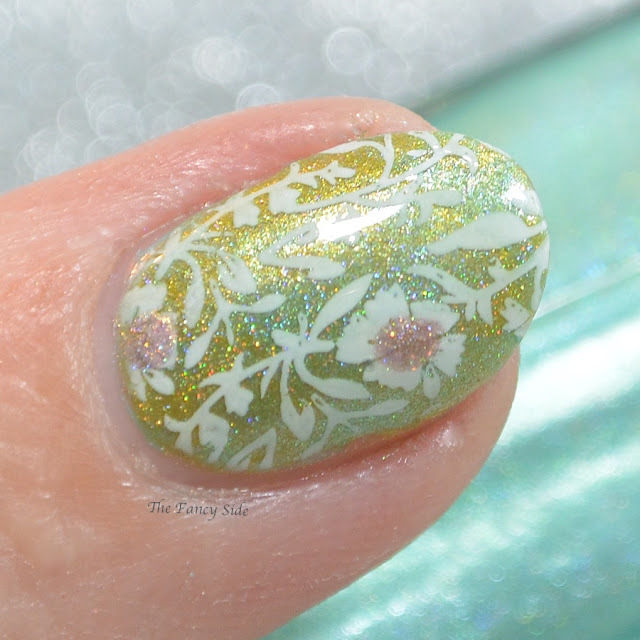 I used Seventy7 Nail Lacquer Vintage Rose to dot in some centers of the daisies. There you have it! That's our inspired by look. 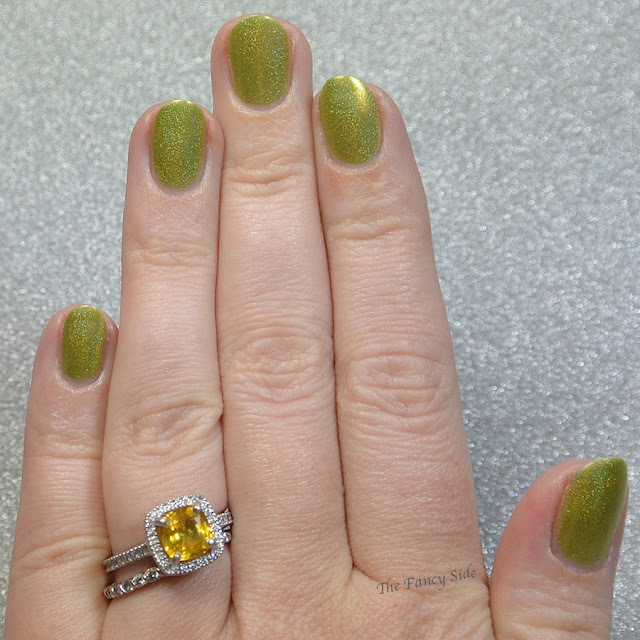 Be sure to pop on over and see Cynthia's look as well. You betch. Yours came out so pretty. We have to do more of these because they make me get creative. Like yours wasn't awesome too! I agree...lets do more of these. They are so fun. Awww...this is so cute! I love the color and design. You really nailed it girl! It's super pretty and a very unique shade. This is so delicate and beautiful. 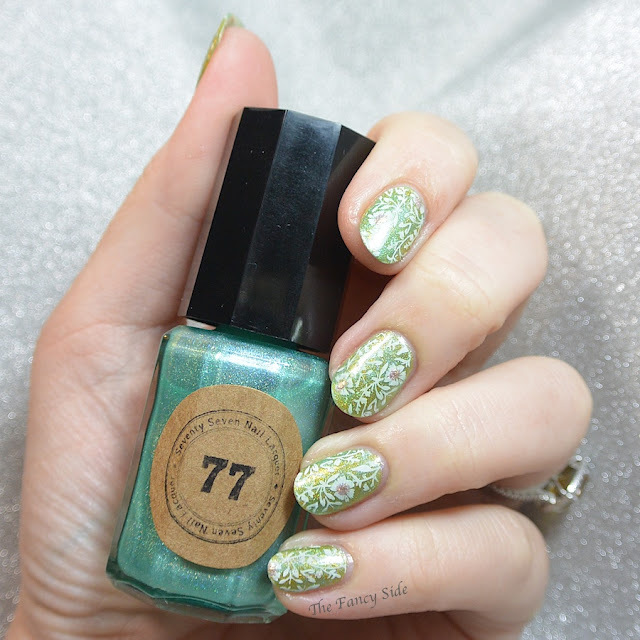 I always love your stamping. Wow!! Love these colors!!! Really nice refreshing mani! Thanks Shawna! I really love the way this came out. Thank you. I really wanted to bring the third color in the trio in and that seemed like a perfect way to do it. You did so great with this! Delicate and beautiful! So pretty! 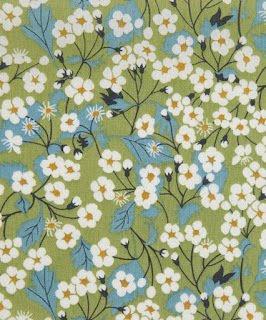 That base is gorgeous and you definitely nailed the pattern you were going for! Thanks Monica. I'm super happy with how it turned out.